This pendant from Posh Mommy is birthstone jewelry at its best! 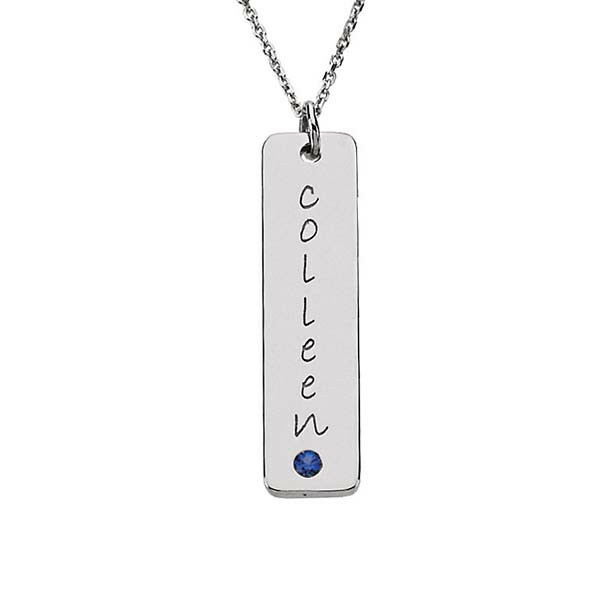 Crafted in sterling silver, an engravable tall tag features a simulated sapphire, the birthstone for September, and room for up to eight characters of your choice. You can purchase a chain separately. The pendant is a piece of jewelry that will surely become one of her most cherished keepsakes.